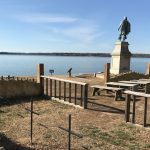 Structure “S”: The First Orthodox Chapel in America? You are donating to: Associates of Colonel Philip Ludwell III, Inc., a Virginia nonprofit corporation. 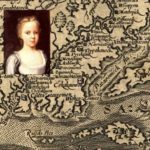 Might the first Eastern Orthodox chapel in America been in colonial Virginia? In 1600s and 1700s America, Green Spring plantation was considered the “1600 Pennsylvania” of its day. (Why? Click here.) 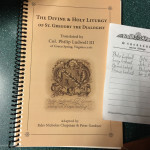 In the 1700s it was owned by Philip Ludwell III (click here for a brief biography), who is the first known convert to Eastern Orthodox Christianity in the Americas. In 1954-55, the archaeologist Louis Caywood of the National Park Service conducted excavations at the site of Philip Ludwell’s former Green Spring Plantation. Upon completion these were covered with soil to protect them. 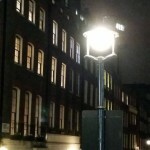 Today, all that remains visible are a secondary 18th-century building known erroneously as “The Jail” and the crumbling foundations of an early 20th-century structure that surrounds the original green spring. The spring was used by the Paspahegh Indians in pre-colonial times and to this day still produces cold, clear water. 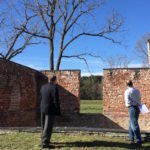 It was common for colonial Virginian religious life to be focused on the plantation, rather than parish churches many miles away “in town.” A shortage of ordained clergy also contributed to this trend with Plantation owners conducting services in their place. These facts, combined with Philip Ludwell’s documented piety and religious devotion, makes it reasonable to believe that he would have constructed his own chapel on his plantation, which featured one of the largest mansions in British America. 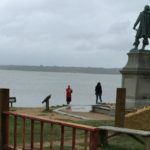 Subsequent archaeology conducted at the beginning of this century confirmed that it was an east-facing structure approximately twenty-five long and twelve feet wide and dated from the early 1740s. 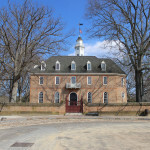 The structure does not appear in the map made of the Plantation by a French military officer in 1781 during the Revolutionary War. 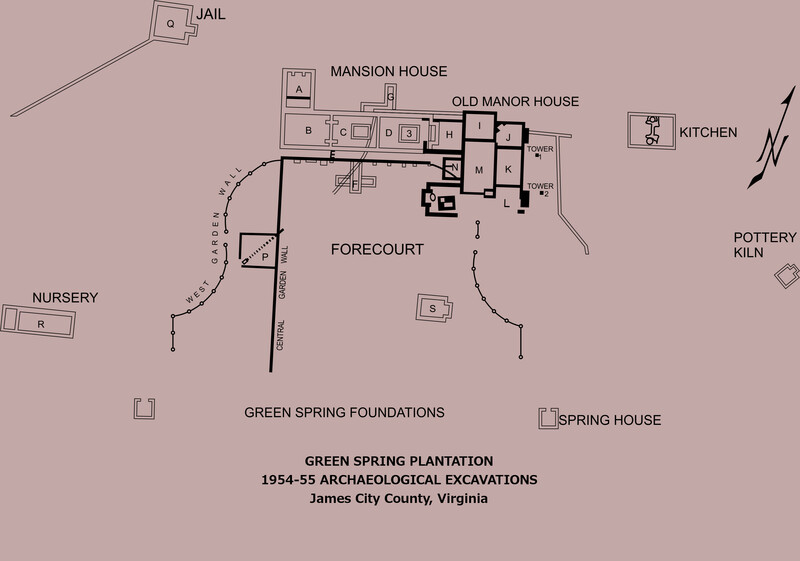 Currently, approximately 300 boxes of artifacts from the 1950s Green Spring excavations remain unexamined under National Park Service custody at historic Jamestown, a few miles from Green Spring. The Associates would like to assist interested parties in examining these artifacts and to help sponsor renewed archaeological excavations at Green Spring that can make use of tools and techniques not available to Caywood in the 1950s. 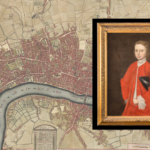 Only when this is done may we be able to determine whether Eastern Christian divine services were held in Structure S at Green Spring during Philip Ludwell III’s residence there between 1740 and 1760. Want to learn more? Learn about clues to colonial Eastern Christian worship. Subscribe to our Newsletter. Or, follow us on Facebook and Twitter. Read more about the Associates and our mission here. 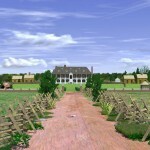 Top photo credit: A recreation of Green Spring Plantation. View from the causeway (now forested) to the forecourt and front of the manor house. Courtesy National Park Service, Colonial National Historical Park, Jamestown Collection. This is a conceptual rendering ONLY.